There is no "I" in team. Nor is there an "I" in Barça. Coincidence? We think not. Ten players combined in the buildup to Barça's fourth and final goal of Tuesday night's triumph over visiting PSV Eindhoven at Camp Nou, with Leo Messi putting on the finishing touches. Jordi Alba got it started. 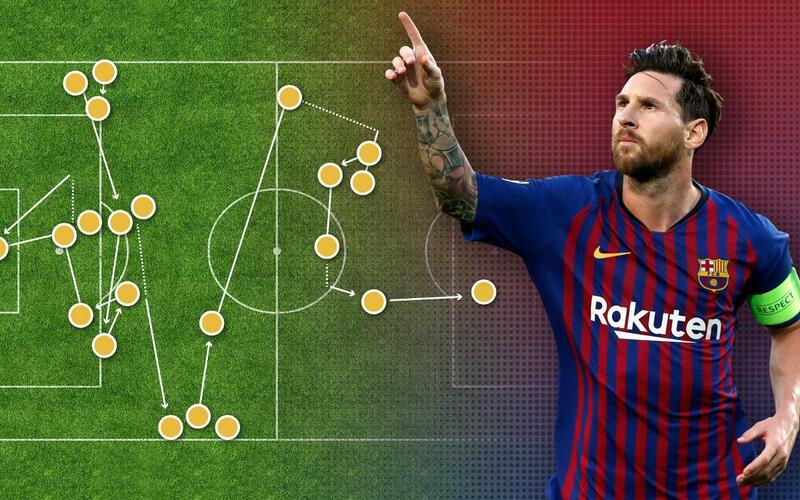 The others involved were Sergio Busquets, Luis Suárez — a key at the beginning and end of the play — Sergi Roberto, Arturo Vidal, Gerard Piqué, Clement Lenglet, Marc-André ter Stegen, Arthur Melo, and Leo Messi. See the video, which is a shining example of the Barça style of play paying dividends on Europe's biggest stage.